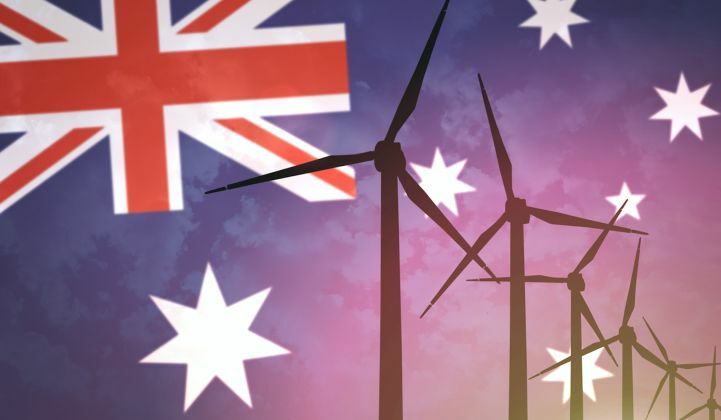 Last month, an authoritative report found that radically decarbonizing Australia's energy system could be achieved by 2050 -- all without negative impacts on the economy, and with big savings for both consumers and utilities. The report was produced by the Commonwealth Scientific and Industrial Research Organization (CSIRO) and Energy Networks Australia (ENA). CSIRO is a corporate entity of the Australian government and widely regarded as the leading scientific authority in the land. ENA represents all gas distribution and electricity transmission and distribution businesses throughout Australia. Together they drew on the findings of 19 existing reports to paint a vision for the country’s power sector that counters mainstream thinking. According to the Electricity Network Transformation Roadmap, a renewables-only Australia could save AUD $16 billion (USD $12 billion) in infrastructure costs by 2050, and slash average household bills by AUD $414 every year, a reduction of around 30 percent on current charges. Customers will do a lot of the heavy lifting, providing a vast amount of distributed energy resource services -- a service which should be paid for by networks to the tune of AUD $2.5 billion annually by 2050, according to the report authors. In fact, Crawford and his colleagues estimate that “millions of customer-owned generators will supply 30 percent to 50 percent of Australia’s electricity needs” by 2050. Effectively, the distribution network would be paying households and businesses for power supplied by rooftop solar-plus-storage, and thus avoid some of the costs of poles and wires, translating into overall savings for all. For this to happen, says Crawford, rooftop PV capacity would have to quadruple by 2027 to 29 gigawatts, and more than double again, to hit 72 gigawatts by 2050. In order to make the best use of all this capacity, storage will have to keep pace too. Estimates from the roadmap forecast 34 gigawatt-hours by 2027, rising to 87 gigawatt-hours by 2050. Australia already has the highest penetration of rooftop solar in the world. The domestic storage market is also surging, with prices for both falling more rapidly than originally forecast. Storage would have a big part to play at the grid scale, too, according to the roadmap. However, the researchers keep their options open about what type of storage will dominate in the emerging technological mix. “Battery storage is forecast to play a key role in energy balancing and grid security as centralized renewable generation increases. However, a diversity of potential solutions could also be employed cost-effectively as alternatives while still achieving a zero net emission target by 2050,” Crawford explained. Various key players are on board, said Crawford, including the Australian Energy Market Commission and Energy Consumers Australia. He pointed out that many of the changes needed, such as improving data access and informational services, are the responsibility of networks, which the ENA represents. CSIRO’s chief energy economist, Paul Graham, warned that a lack of a stable, coordinated policy for energy in the country could derail the whole project.